As is the case with most people these days, change is a normal, if not daily thing. 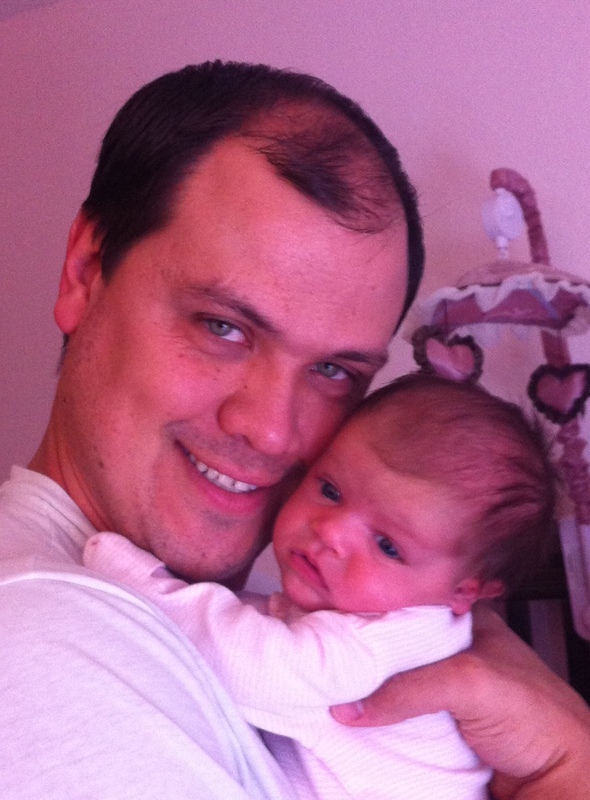 I have had the joy of welcoming my first child, a beautiful baby girl into our lives 8 weeks ago. Having my daughter look into her daddy’s eyes and just stare has shaken me and melted me all at the same time. I have seen many friends posting in social media a daily thought to be thankful for and I have enjoyed those thoughts. I am thankful for the joy of being a husband and father and what I think amazes me is how fast these weeks have already gone by. I hear people say how fast time will go by, and I think although I believe them, I feel like surely it will be different for me. So, as I acquiesce to the reality that time does indeed go at the same rate, whether we want it to be slower or faster, I have a challenge for myself and anyone who takes the time to read this. Take time to call up your father, for those who can, or if you are like me, take time to be thankful for the moments and memories you were able to make while with your father. If you are near your father geographically, take some time and talk with him in person, and stare into his eyes instead of your electronic device. Pick up the phone and ask him to speak something into your life that only a father can say. After just returning from a family trip with my wife’s family, I have to say I wish everyone got the chance to spend yearly visits with multi-generations and just talk. The younger generation is so inclined to plug into some source of controllable input such as an iPhone, iPad, or other smartphone rather than taking time to engage in meaningful conversation with the generations that have lived longer and prior to their earthly existence. We had in our midst over the holidays the Great-Grandparents all the way to my daughter. We got to see sights as a family that many people dream of getting to go to just one or two of them..let alone all of them in less than 1 week. Life is indeed a gift, so let’s take time during this season following Thanksgiving and leading to Christmas to continue in a thankful frame of mind. Always try to keep the “Thankful Filter” on as you walk through your day. This can mean the difference in how you deal with a loved one, family member, employee, employer, or friend. Be the thermostat rather than the thermometer. Set the atmosphere rather than reflecting it. Try it leading up to Christmas and let us see the perspective with which we enter 2013.